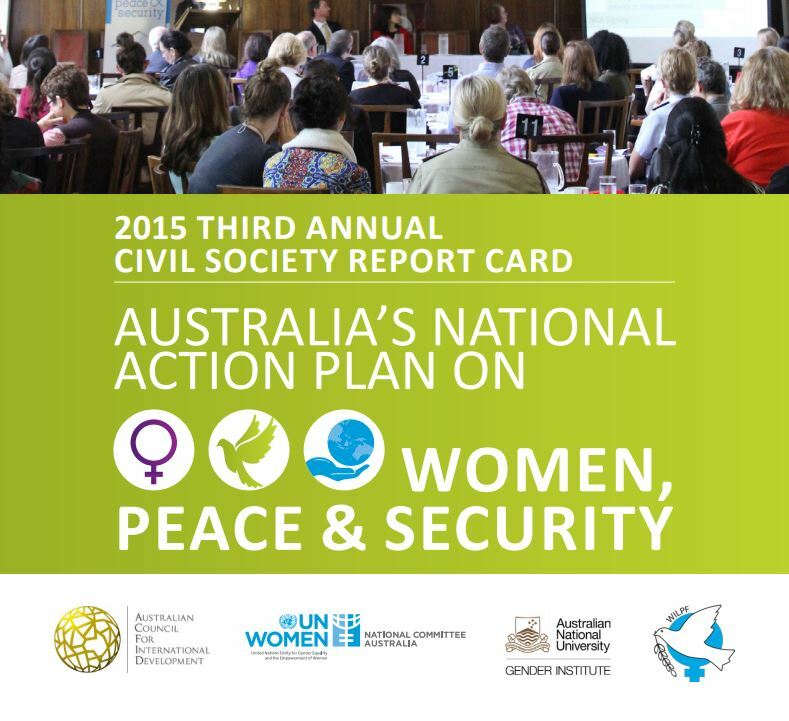 Launched by the Australian Civil Society Coalition on Women, Peace and Security and Monash Gender, Peace and Security. 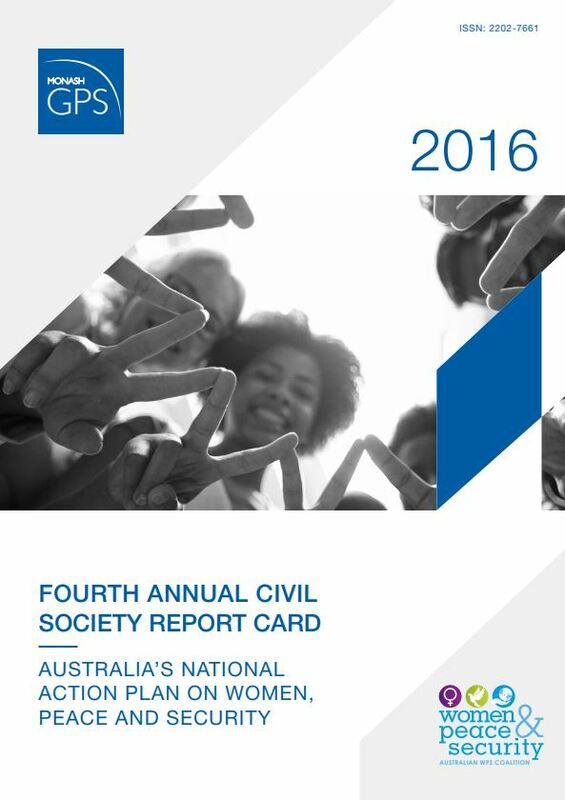 Funded by the Australian Civil Military Centre. 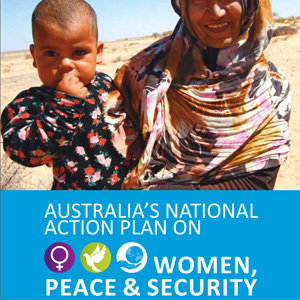 Australia’s National Action Plan on Women, Peace and Security (hereafter called the NAP), is an essential document for implementing United Nation Security Council Resolution 1325 and related resolutions on women, peace and security. 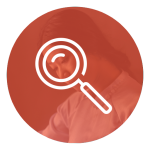 Released in 2012, it aims to bring together actors across the Australian Government and civil society to ensure that both domestically and when we act overseas, Australia listens to and includes the voices of women in defence, peace and security initiatives. 2015 has been an important year for the Women, Peace and Security (WPS) agenda in terms of both developments and challenges. The release of the Global Study on the Implementation of UNSCR 1325 and the adoption of UNSCR 2242 offer renewed emphasis on the importance of women’s participation in conflict prevention and resolution, while ongoing conflicts in Syria and around the world provide daily reminders of the imperative of WPS implementation. 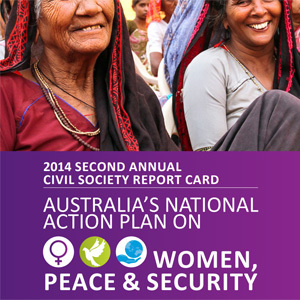 Significant advancements have been taken in Australia’s implementation of the Women, Peace and Security (WPS) agenda since the release in August 2013 of the first Annual Civil-Society Report Card on Australia’s National Action Plan on Women, Peace and Security. Internationally Australia has promoted the WPS agenda during its term on the UN Security Council and at the Global Summit on Ending Sexual Violence in Conflict, while at home Government departments have taken measures to mainstream the WPS agenda into their policy and programs.